Supporting legacy software has many challenges. Every day that goes by increases security and compatibility issues that make your systems more vulnerable. Add to that the growing difficulty retaining key staff with the necessary tribal knowledge to keep critical applications running. It’s no wonder legacy support is a major headache for most organizations. adj & noun, software that has been superseded but is difficult to replace because of its wide use. The greatest challenges in IT are operational, not technological. By its very definition legacy software serves a valuable purpose. It's an asset. An aging one, to be sure, but not one to treat with a cavalier “rip and replace” approach. That’s because, for most organizations, the greatest challenges are operational, not technological. Designing the right business processes and aligning resources, both human and technology, are critical for a successful modernization effort. We do legacy (support and modernization). A range of services to match any support or modernization need. Operational prowess and software know-how to support your legacy apps. Resources you can put to use today from our team of experts. Download Voyage, our industry leading open source ecosystem. Sometimes the path forward can get a bit rocky. After hundreds of modernization projects, we’ve learned a thing or two. Migrate First or Refactor First? 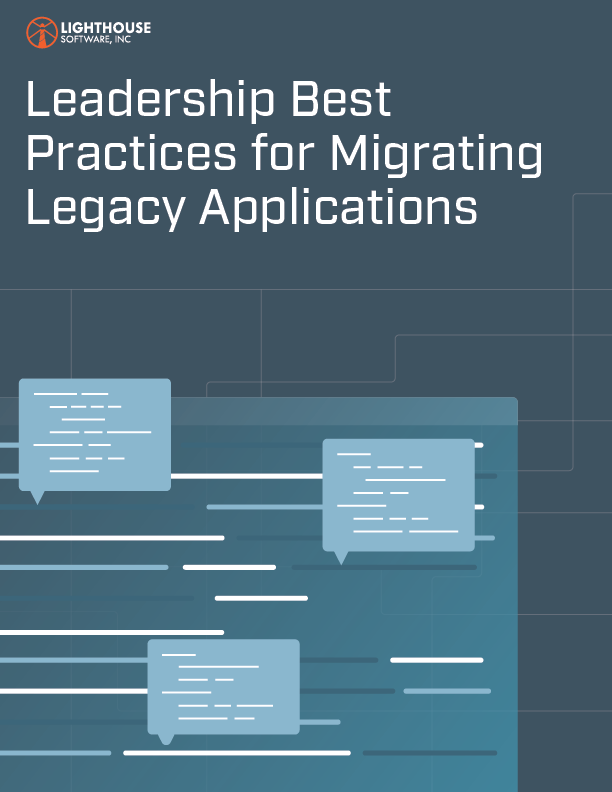 One of the critical questions you need to tackle when modernizing a legacy application is whether to migrate it to the new platform first or refactor it before doing so.